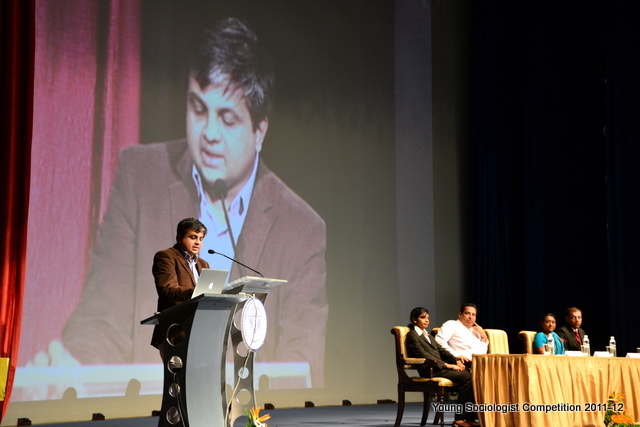 The year 2011 marked the successful completion of 14 years of the management fest, Ushus. The theme of Ushus was Inicio, meaning, the beginning. 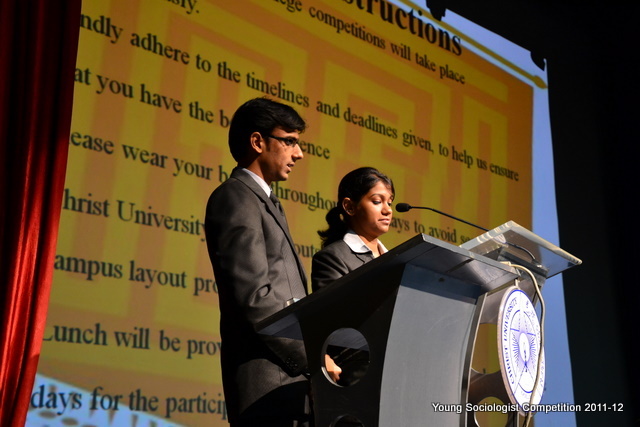 The event gained momentum with the formation of student and faculty teams. The initial tasks of identifying the theme and designing of the brochure for sponsorships started in the month of September 2011. At the same time, teams and committees were formed from the senior group of students. The sponsorship team also started its work of sourcing funds during this period. The student core team worked on budget estimates and other details. Invitations in e-copy format were dispatched to b-schools across the country by mid of October. It was also followed up by sending the hardcopies. Sponsorships came in the form of some cash and vouchers for some of the events. Ushus 2011 also marked the launch of the Ushus logo. The logo was sourced through an in-house competition. With respect to individual events, there were seven events carried forward from last year and two were introduced in 2011. The functional events of Marketing, Human Resources, Finance, Information Technology, Operations, Social Responsibility and Business Quiz had better rounds both for the inter and intra events. A new event launched this year was an integrating round that pulled participants from across the events. There were several dramatic events staged as a part of the round to make it more interesting. Another event that made this year’s Ushus quite interesting was the Simulation event. Participants had to take decisions on entering different markets for a set of products. They were all guided by a set of data which formed the framework of the event. The entire event was a computer simulation played over a period of two days, which was divided into eight quarters. All the efforts culminated on November 25th and 26th with the start of the event. 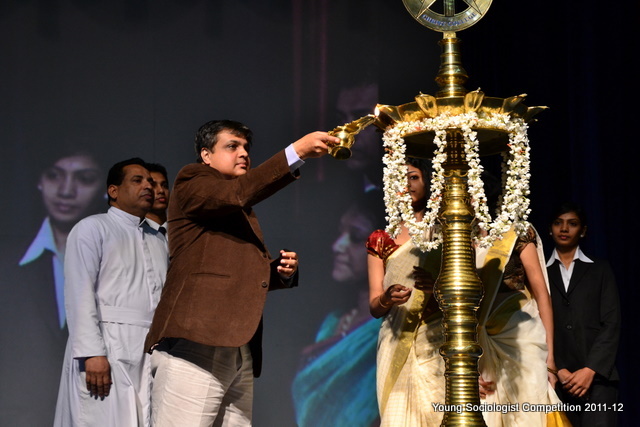 The inauguration was initiated by the faculty in-charge of the event. The chief guest was Mr. Lakshmipathy Bhat, VP of DRAFT-FCB Ulka. He shared simple truths for a successful career. His talk was highlighted with many anecdotes from his life. Following the inauguration all the events started their preliminary rounds. On the second day many events closed by lunch except the Best Manager, Business Quiz and the Finance Rounds. The quiz and the best manager final rounds were exciting and grabbed the attention of the audience. The second day also saw the closure of the fest with prize announcements. The overall champion of the intra rounds was grabbed by section A while the inter-event winners were XIME, Bangalore. Looking forward, there is ample scope of improvement in the quality of rounds, scheduling and strategizing the schedule of all activities. The team has considered the feedback provided by participants, volunteers, student-heads, faculty and the director. The Ushus team is hopeful that the learning from 2011 would make Ushus 2012 to scale newer heights. The School of Law, Christ University (SLCU) had organized a Human Rights Day Celebrations on 10th December, 2011. The Universal Declaration Human Rights was adopted by the United Nations on 10th December 1948 and since then this day is remembered as Universal Human Rights Day. SLCU also wanted to join the global celebrations by pledging to respect and honour Human Rights in daily life. More than 600 students and the faculty members of SLCU gathered at the entrance stairways of the Central Block of the University at 10.00 for the solemn occasion of the pledge taking. Rev. Fr. Vice Chancellor, Dr (Fr) Thomas C Mathew, Rev. Fr. Pro-Vice Chancellor, Dr (Fr) Abraham Vettiyankal, Rev. Fr. KJ Varghese, the Chief Finance Officer, Prof. Subramanian, the Registrar, Prof. (Dr) CS Somu, the HOD of the School of Law and many other senior functionaries of the University were present for the function. As a reaffirmation of the pledge, the gathering sang the Hindi version of the hymn, “we shall overcome”. The hymn sang by the gathering of more than 600 students and faculty members resounded through the entire Central Block and the University Campus. 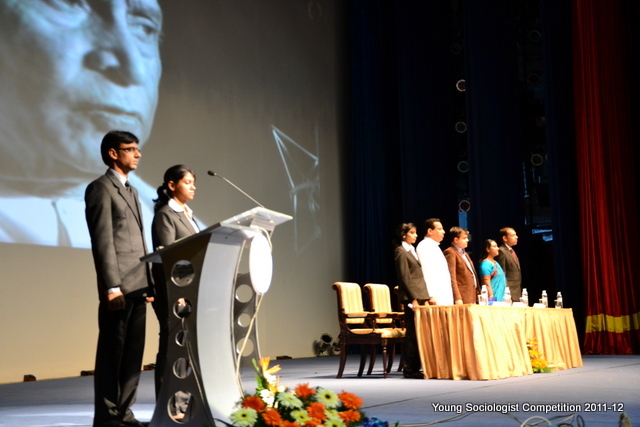 After the pledge taking ceremony, the celebrations continued in the Main Auditorium from 10-45. Before we started the meeting, we had a documentary on mining in Bellary, Karnataka, Dr (Fr.) 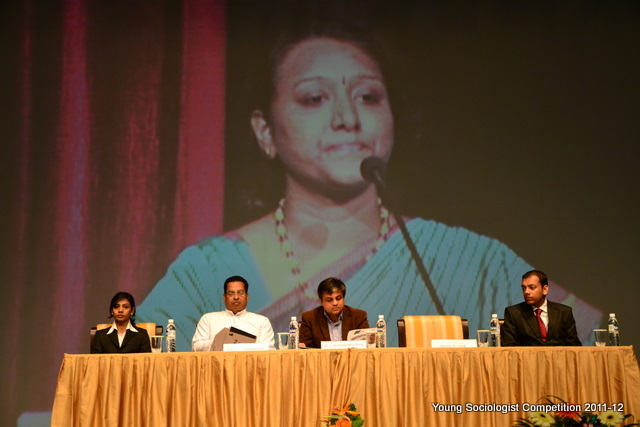 MK George SJ, Director of Indian Social Institute, Bangalore was the guest of honor and he delivered the HR Day address. Dr. George presented a socio-political analysis of the life of the tribal population in India. There was a question-answer session after the address where in the students raised many serious questions. As a fitting finale for the celebrations, the theatre group of SLCU presented a short skit of 20 minutes on women/girl child rights. 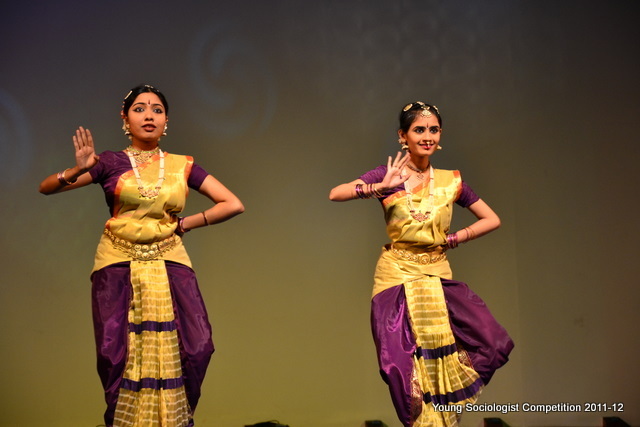 Athira Shankar of the 3rd year presented the inaugural dance. The whole programme was organized and coordinated by the student members of Human Rights and Social Justice Group of SLCU. George K Jose, Faculty Coordinator, HRSJ. We have often heard of organizations professing about the ‘go green campaign’ today we have a bunch of management students of the marketing stream practicing this in order to support the cause of promoting cycling as an eco-friendly means for commuting. 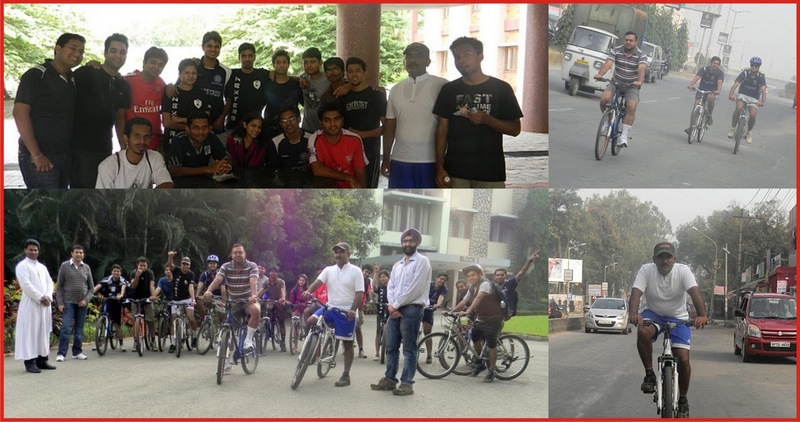 The Marketing Club students at Christ University Institute of Management have been known to come up with exciting events in the past and ‘Whee’ll Meet’ the cycling extravaganza, is the latest addition to the list. It is an event where corporate and alumni come and share their thoughts and experiences. The event was flaged off by Fr.T.V.Thomas, Director, Christ University Institute of Management at 8 am on 4th Dec, 2011 from the main campus. There were more than 20 cyclists, accompanied by the chief guest of the event, Mr. Dwarkanand C., Marketing Manager Mathworks, who is an avid cyclist. Also present were Prof.Kshetragna, Prof.Rahul and Mr.Angad Singh, alumni 2009 – 20011 batch. The students cycled their way up to our Kengeri campus. At the Kengeri campus there was a corporate interface where Mr.Dwarakanand shared his thoughts and experiences with the students about business strategies and his cycling expedition experiences.. The meet was enriching and the marketing students were unanimous in deciding to have such an event on a regular basis.